High end real estate is hot and is pushing home price limits to new levels (watch discussion of luxury property market trends with Pimm Fox on Bloomberg Television’s “Taking Stock,” featuring Ziel Feldman, founder of HFZ Capital Group, and Kevin Maloney, co-founder of Property Markets Group; Source: Bloomberg). And although many luxury home buyers are seeking homes that are in vogue, other high net worth home buyers are looking for other things in their homes. Many high end home buyers want their homes to be a piece of art; and it seems as if there is a market for pairing art and real estate. What seems to pair luxury real estate and art is Art Basel (the annual premier art show) in Miami, where luxury real estate agents are flocking to make sales. According to The Miami Herald, South Florida developers have paired “exceptional art” with high end real estate to create something special. And there is a market for it. However, while many luxury home buyers are looking for exquisite art, other buyers of high end real estate are looking for “safe havens.” These home buyers are looking for established markets that are performing well and have a history of stability. Not sure where the hot high end real estate markets are located? According to Zillow some of the top luxury real estate markets are New York, Los Angeles, San Francisco Bay Area, Miami, and Washington DC. The metro DC area includes Maryland and Virginia, and is not only the seat of power – but is also culturally significant offering a wide variety of art and music. The superlative selection of high end homes in the DC metro area offer a multitude of home styles and locations for most any life style; many high end home inquiries in the Maryland area include Bethesda, Potomac and Chevy Chase. What is about luxury homes that many people find intriguing? It may be the home itself; or maybe people are interested in the lifestyle of the owner, who may be a celebrity. Regardless, the concept of the luxury home has changed through the ages from an expression of power and security to possibly encompass your home – depending on your perception. The concept of luxury may have developed in early hominids if there was an awareness of the notion of comfort; which may have been about eating and sleeping well. As civilization developed, the luxuries of life were typically had by the wealthy and powerful. Feudal manor life is an example of this; the manor was a substantial and large building that was the center of feudal life and also served to show the wealth of the lord. As the middle class emerged during the industrial revolution, simple living comforts became more affordable and widely available. As the middle class became an increasingly important sector of the economy, the housing industry provided affordable comfortable homes that were equipped with the latest technology and living trends. Luxury Portfolio also describes luxury homes as having “…a unique quality or distinct feature that makes it stand out in the luxury home and luxury real estate marketing arena.” Many luxury homes are thought to be larger than most in the market area; although like price, size alone does not necessarily denote a luxury home. Luxury homes can be of modest size, as well as exist in high rise buildings. Sometimes, the features and uniqueness of a home may give it luxury status. Luxury homes are often custom homes with the latest in technology and comfort amenities. Unfortunately, a home’s luxury status may diminish with time if the home’s amenities and technology are not maintained and regularly updated; today’s luxury home can be tomorrow’s tear-down. Disclaimer. This article is not intended to provide nor should it be relied upon for legal and financial advice. Readers should not rely solely on the information contained herein, as it does not purport to be comprehensive or render specific advice. Readers should consult with an attorney regarding local real estate laws and customs as they vary by state and jurisdiction. This article was originally published the week of November 4, 2013 (Montgomery County Sentinel). Using this article without permission is a violation of copyright laws. Copyright © 2013 Dan Krell. The recovering housing market has brought to light the controversial practice of the pocket listing. Although pocket listings are more common in the upper bracket and luxury real estate market, pocket listings tend to increase during hot markets when there are few available listings and increased home buyer competition. Sometimes called “off-market” listings, or “private” listings, the pocket listing is a home sale that is not openly marketed in the multiple list service. The listing is kept “quiet” and is only known to the listing agent and/or broker who typically market the home to a select network of contacts and clients. Pocket listings are common among the utra-wealthy because of privacy concerns; anonymity is an often cited reason for a home seller to choose to have a pocket listing, typically because the seller has some celebrity status. Private listings may also be promoted as a way to limit home viewings to those who are financially qualified to purchase the home; the focused buyer pool reduces the number of showings, which may be less disruptive to the seller’s daily schedule. However, critics of pocket listings often point to MLS concerns, dual agency issues, and housing laws as reasons to be wary of the practice. Agents are not the only ones who have access to an MLS listing; MLS listings are often syndicated throughout the internet and available for anyone with internet access to see. Clearly, one of the obvious issues of a pocket listing is the reduction of marketing exposure that is lost from not having an MLS entry. Another issue that arises from a pocket listing is that it skews home sale and price data that appraisers use for valuations. Consumer Advocates in American Real Estate (caare.org) cites the possibility of dual agency (where the buyer and seller’s agent is from the same real estate company) as a major concern for pocket listings. Because dual agents do not act exclusively in the interests of either the seller or buyer, the possibility of a conflict of interest may arise. Additionally, CAARE states that a seller who agrees to a pocket listing may exclude 70% or more of qualified buyers who are actively searching for homes. Unbeknownst to some home sellers, their home sale may be marketed as a pocket listing during the period between the signing of listing paperwork and when the home is entered into the MLS. Although this time is often used to prepare a home for sale; it may also be privately marketed by the listing. Although the National Association of Realtors® has “not defined what constitutes a pocket listing, nor do they have an official policy regarding the practice” (“What is a Pocket Listing”; Realtor Magazine, May 2013); potential housing law issues and ethical concerns of pocket listings should be addressed with your real estate agent/broker. Disclaimer. This article is not intended to provide nor should it be relied upon for legal and financial advice. Readers should not rely solely on the information contained herein, as it does not purport to be comprehensive or render specific advice. Readers should consult with an attorney regarding local real estate laws and customs as they vary by state and jurisdiction. This article was originally published the week of October 28, 2013 (Montgomery County Sentinel). Using this article without permission is a violation of copyright laws. Copyright © 2013 Dan Krell. When would you consider a home as being unique? 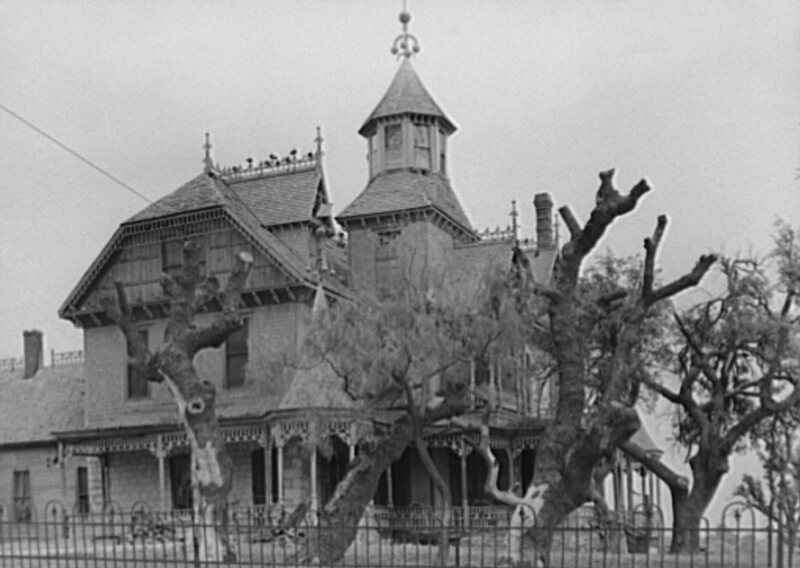 Mostly, the degree of uniqueness can be to a person’s perception of a home as well as what they consider to be unusual. However, there is some consensus to what is generally accepted as “mainstream” in the real estate industry; and if a home falls outside these norms through its construction, size, floor plan, etc – it may be considered as unusual/unique. Some homes are so extreme in their construction, either in size and/or building materials, that it is clear they are unique and one of a kind; there are other homes that may have been converted from commercial or industrial buildings that may also indicate a unique flair. However, there are many homes that appear to fit in their respective neighborhood, but the custom nature expresses a specific style and preference; which is often found in the luxury home market. Some considerations you might think about when purchasing a unique home include: financing, insurance, maintenance, and resale. If you’re set on purchasing a home that is unique, check with your mortgage lender about financing; lenders may have objections on lending on an unusual home. It is also not unheard of that extreme unusual homes appraise lower than market value due to uncertainty of value. Unusual homes, including the “Über-luxury” market, may require specialized loan products that are offered by specialized lenders. Additionally, you should consult with your insurance agent as the home may not meet your underwriting guidelines for home owners insurance. Many people don’t realize that insurance carriers may rate your home based on construction materials, zoning, size, etc, which can affect the premium. And it’s not unheard of that an insurance carrier may also limit or even deny coverage because the home does not meet their underwriting standards. Maintaining a unique home can sometimes be challenging too. Many unique homes are constructed with materials that may be exotic, uncommon, and/or can be found in commercial applications. Repairs and labor costs can be much more than the typically constructed home. Finding replacement materials and qualified contractors to work with those materials may also be difficult. Home ownership is often a labor of love for the home, and that emotion can be carried into the resale. You could easily be disappointed in the time it takes to sell the home as well as the sale price. Be prepared for an extended time on the market because your unusual home may have a very limited pool of buyers, and negotiation could be long and dragged out due to variances in perception of value. “Doing it your way” may be the theme of a popular song and an advertising campaign for burger joint; but when it comes to building or buying a home – being unique and unusual can sometimes come at a cost. This article is not intended to provide nor should it be relied upon for legal and financial advice. This article was originally published the week of June 3, 2013. Using this article without permission is a violation of copyright laws. Copyright © 2013 Dan Krell. It’s entertaining and interesting to take a look at the unusual and extremes of the housing market during the year that just ended. Besides some of the notable sales of this past year, consider the least and most expensive single family homes that sold during 2012. The stories of these two homes go beyond recent sales and economic conditions; they tell a story of suburbanization and the growth Montgomery County. One of the lowest priced single family homes that sold in Montgomery County during 2012 was a home located on Sigsbee Road in Silver Spring. The home, located in Veirs Mill Village, was listed in the MLS (Metropolitan Regional Information Systems, Inc) by Real Home Services and Solutions, Inc. as a foreclosure and sold for $86,199. Veirs Mill Village, a community that seemed to have its share of foreclosures in recent years, was built as part of the post World War II housing boom. According to the Maryland Department of Transportation State Highway Administration’s “Suburbanization Historic Context and Survey Methodology” (roads.maryland.gov), Veirs Mill Village was one of the largest post war housing developments built in Maryland. There was a housing shortage immediately after World War II, and a scramble ensued to build homes to accommodate returning veterans as well as the quickly growing Federal workforce. Because of the speediness of the construction, neighborhood aesthetics was not a priority; initially, there was little thought to community, commerce, or municipal services. Built to be affordable housing, the community initially attracted young families; the average age was stated to be 21. 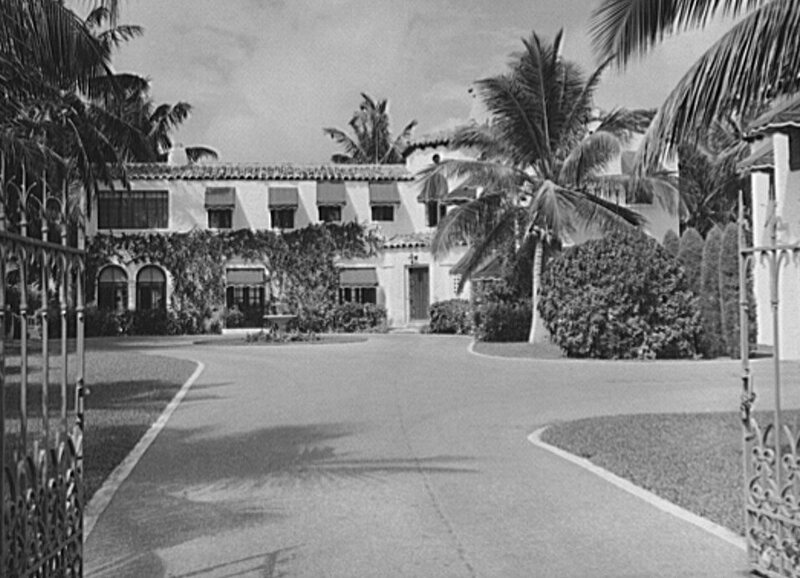 The completed development consisted of 1,105 four room bungalows, each with a 1948 price of $8,700. Consider that at the height of the housing market in 2006, the average home sale price in Veirs Mill Village was $390,337 and ranged from $325,000 to $485,000. The average sale price during 2012 was $218,950. 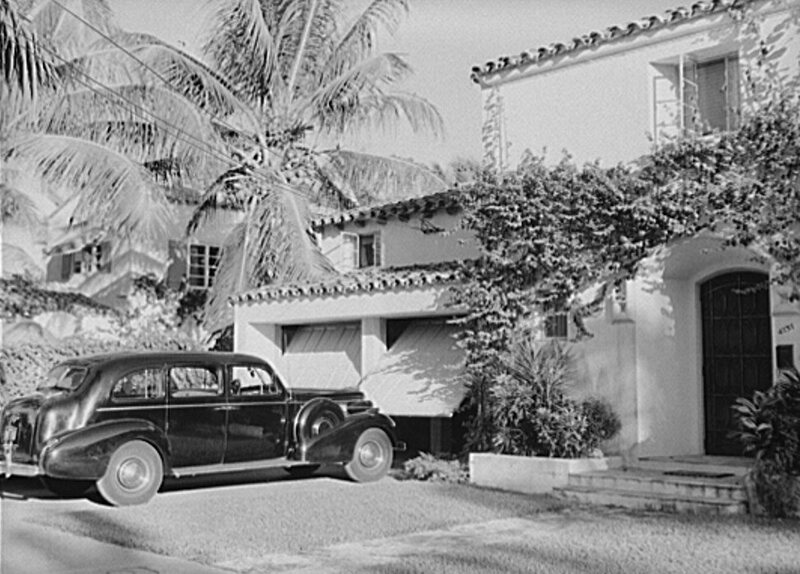 And although this home on Sigsbee Road was not expanded from its original 648 sf, it is not uncommon for neighborhood home owners to have expanded these homes over the years. In contrast, one of the most expensive homes that sold in Montgomery County during 2012 is located on West Lenox Street in Chevy Chase. The 100 year old home sold for $7,050,000. The MLS listing stated that the home, listed by Long & Foster Real Estate, Inc., was built in 1913 and was expanded and renovated in 2006. 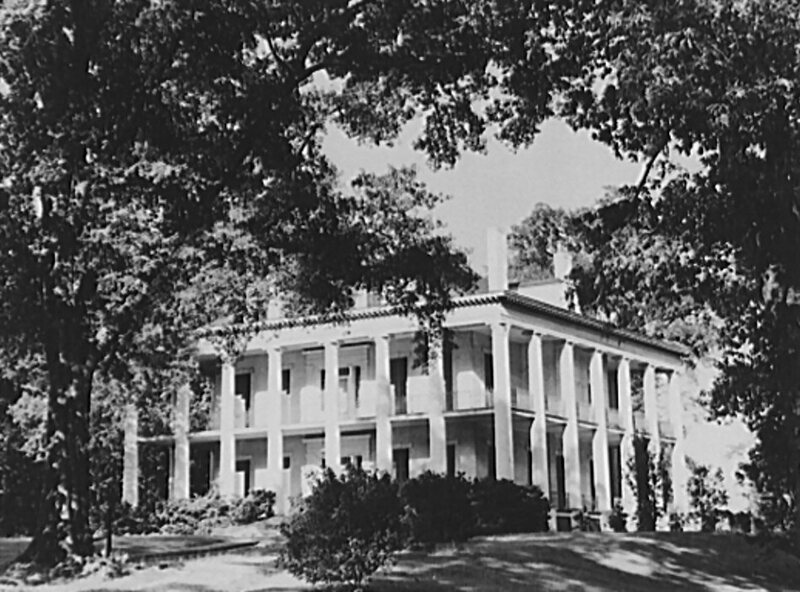 According to the “Suburbanization Historic Context and Survey Methodology,” the development of Chevy Chase began as part of the suburbanization of Montgomery County of the 1880’s. Although other Montgomery County developments at that time were priced for middle class civil servants (due in part to the Civil Service Act 1883) , Chevy Chase was developed to attract affluent home buyers. Chevy Chase expanded in the 1890’s when a rail line was built to encourage growth in a suburb that was considered inaccessible; and became an established affluent neighborhood when the economy flourished during the 1920’s housing boom. The MLS listing and sale and sale price information is compiled from Metropolitan Regional Information Systems, Inc. (MRIS.com); the information is not an opinion of value, nor should the information be misconstrued as an appraisal. Additional neighborhood suburbanization and historical information can be found on the Maryland Department of Transportation State Highway Administration’s website (roads.maryland.gov). This article is not intended to provide nor should it be relied upon for legal and financial advice. This article was originally published in the Montgomery County Sentinel the week of January 7, 2013. Using this article without permission is a violation of copyright laws. Copyright © 2013 Dan Krell.